Balance leads to sound decision making, positive energy and decisiveness in business strategies. I have stated many times: business challenges can arise when we are too focused at working “in” the business and not spending enough energy working “on” the business. Balance, and the ability to step away and assess, are fundamental to long-term success. Author Stephen Covey has a great quote that states, “Most of us spend too much time on what is urgent and not enough time on what is important.” If, as business leaders or a principal entrepreneur, you do not exhibit these qualities in your organization, who will? There are groups of people who adamantly believe entrepreneurs need to focus better on their own work-life balance. Others suggest this theory only cripples productivity and leads to failure. The arguments are heated, and mostly irrelevant. Raising the topic of work-life balance with most entrepreneurs is like herding cats – it doesn’t work very well. However, we shouldn’t totally ignore the concept of work-life balance. We need to respect that our employees’ ideas of an appropriate balance may be very different than ours. For them, work-life may be a crucial part of their employment contract with you. So how do we manage the concept of work-life balance, yet motivate and empower your employees to be committed to your company’s success? It’s an important question as you navigate the looming labour shortage that is about to engulf North America. Here are a few things you might want to consider when observing your work environment. Employee morale. Employees who experience a work-life imbalance can grow to resent the workplace. Studies show that employees who feel safe and fulfilled at work will work harder to see their leader’s vision come to fruition. Productivity. It may seem counter-intuitive, but employees with greater work-life balance get more done. This is because, like it or not, we are all impacted by our mental and emotional state of mind. A 2009 study by CEB (the Corporate Executive Board) shows that people with a good work-life balance work 21% harder than those who don’t. Health and wellness. Stress can kill. According to Social Development Canada, employees who experience work-life imbalance are three times more likely to suffer heart problems, infections, injuries, mental health problems and back pain. They are even five times more likely to suffer from certain cancers. Beware of burnout. Another study shows that employees with higher ratio of “work-to-family interference” are six times more likely to suffer from burnout and twice as likely to be depressed. They’re not always major issues either; research suggests work-life imbalance leads to lower productivity (see above), higher absenteeism and higher workers’ compensation claims. It can be an addiction. Work addiction or ‘workaholism’ is real. Experts say it occurs because when work is based on fear, our fight-or-flight response pumps us with adrenaline. Short-term we get an energy boost, but the long-term effect can be addiction. For work addicts, work reduces stress, but anxiety comes for other life challenges such as failed marriages (40% more likely) and health problems. How does this affect your bottom line? Burnout and the effects of work addiction mean that those already hard-to-find employees – often the best, brightest (and, of course, most hardworking) – are lost. This further compromises your company’s productivity, and can lead to a severe retention and recruitment challenge. 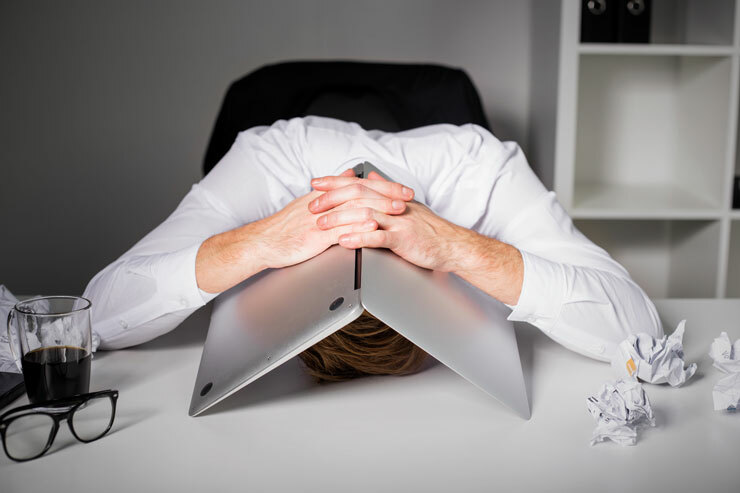 Ask yourself: who within your business can you least afford to lose to burnout? If you had to replace him or her, how difficult would it be and what impact would it have on your bottom line? And if key people that you lean on and trust are burning out, what about the rest of your staff? Will they soon follow? How about you, how will you survive if your key people leave? I doubt most senior executives consider the ramification of work-life balance for their staff. It’s not our responsibility, right? Wrong! Our employees’ well-being is ultimately integral to our own success. Consider, too, that we also set the cadence for the workplace. We lead best when we lead by example. If we are burning the midnight oil every night of every week, what example does that set? Good employees—our best employees—may feel they should, too. This may be good short-term, and may be necessary for days or even weeks at a time. But over the course of months and years it can have disastrous effects. A strong and sustainable work ethic is the derivative of personal drive fueled by rewards in non-business activities (family, friends, and recreation) or work-related environments. Balance in these areas propels work ethic. In my experience, the best entrepreneurs and business leaders I interact with have a strong mastery of balance, which is a major contributing factor to their success.